I came across the Heartfelt Creations layered shadowbox cards and decided to make something similar but with my own twists... It's a take on the box cards I made HERE and HERE and then added pages to it. I'm also using all Designs By Ryn Hummingbird and Hibiscus stamps "Hummingirds 1"; "Hummingbirds 2"; "Hibiscus"
The Sisterhood of Crafters #85 what makes you say "Oh Boy..."
I had never seen a layered shadow box card. This is so cool! Wow, that is really beautiful. I love those hummingbirds and flowers. I have never seen anything like that before, I'll have to try one myself. Thanks for sharing with us. Gorgeous shadow box card! Between the flowers and the beautiful hummingbird, this is just perfect! 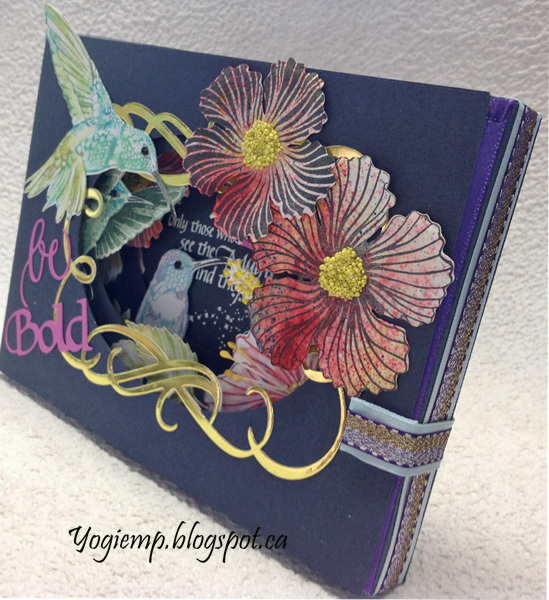 Thanks for joining our "Fancy Corners" challenge at Dies R Us! So artistic and detailed, Yogo!Your shadow box creation is awesome! Thanks so much for playing Simon Says Stamp Wednesday Challenge! 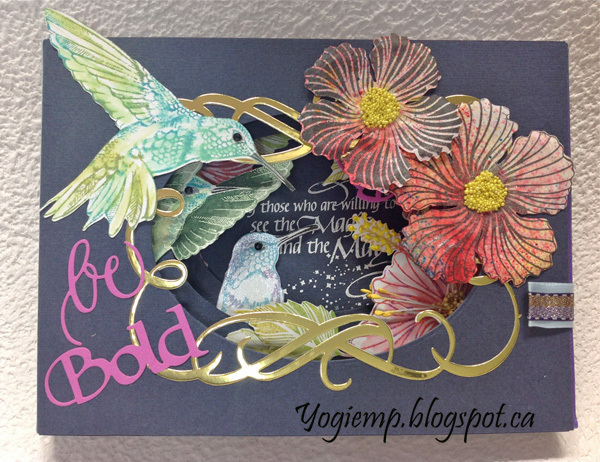 A really beautiful creation and with so much dimension which really shows off the stamped images beautifully, many thanks for joining us at Stamping Sensations challenge. WOW this is amazing Yogi ... and just gorgeous! Thanks so much for playing in our ‘Fancy Corners’ challenge at Dies R Us! Please come back again soon! A beautiful creation through and through, Yogi! Wow! This is beautiful,fabulous design, techniques and colours. Thank you for playing along with us at Fab N Funky. Wow, stunning card!! Thank you for joining our challenge at The Sisterhood! Lovely tunnel card, beautiful colours and images, thanks for playing along at Fab'n'Funky this week.